As previously discussed the potential benefits to health plans of compiling a complete picture of their member’s health status are abundant. The more data and information you have about your members, the better help and guidance you can give them to ensure they receive the most appropriate and best care without redundant replication of services. And without unnecessary cost! Being able to obtain a comprehensive medical record for a member from a physician’s practice is one avenue that health plans can take to enrich their member’s health records. Yet, technical and business challenges aside, being able to gather a comprehensive or full medical record from an EMR can be difficult. Experience has demonstrated that all too often much of the key clinical information about a patient is missing from the “structured” components of Electronic Health Records. And this occurs even when data is retrieved using “industry” standard formats such as the HL-7 C-CDA template and document structure. This missing clinical data ranges from lab result interpretations, medication detail around frequency and dosing, allergy information to physician signatures. An additional challenge is the inability to distinguish and interpret between actual missing data in a record from “null” data elements such as “no information documented” or “no known information”. This absent information can be very challenging to find and retrieve from within an EHR system. Experience has shown that reliance on “industry standards” such as the C-CDA templates isn’t sufficient. Add in the fact that many different EMR’s are in use today by physician groups and hospitals, and these medical record systems are built in a proprietary way, making the challenge of finding that missing or incorrect information different between EMR systems and hence physician practices. As a result of these challenges, healthcare providers who would like to gather clinical data in order to compile a more complete picture of their member’s health are faced with a project that is time consuming, extremely expensive, frustrating and can often result in disappointment and incomplete personal health information. Looking to obtain a complete medical record on your members? Halfpenny Technologies has been in the clinical data exchange business for more than 15 years and over that time have built reusable interfaces that connect to 90%+ of the top EHR vendors and LIS/HIS systems. Halfpenny Technologies comprehensive clinical data exchange platform uses a multi-faceted methodology to obtain clinical record data. We do not rely solely on the use of the C-CDA standard. Halfpenny Technologies completes a quality assessment at each data retrieval stage identifying how full or complete a medical record is and highlighting missing sections or data elements. We can then work with our customers to identify ways to ensure that clinical data is being acquired and stored correctly. Halfpenny Technologies’ vendor agnostic approach allows the receipt of any EHR medical record data format and in return health plans can receive clinical data in the layout of their choice. Our continued investment in innovative solutions has uniquely positioned the company as a national provider of clinical data exchange solutions to the health care industry. The 2016 HIMSS Conference is almost a month away! Scroll through our infographic and find some useful information on the conference before you leave for Las Vegas. We are so excited for HIMSS and to showcase how we can solve your interoperability challenges. What is the state of Clinical Data Exchange for Health Plans? As health care in the U.S. evolves, health plans and other risk bearing entities such as ACOs, have shown an ever increasing desire to acquire clinical data for their members. This need is fast becoming more than a necessity, as value based care begins to drive reimbursements, revenue adjustment factors and quality performance, to name just a few. While many health plans already have access to select quantities of clinical data (think Lab results, maybe even ADT data) their appetite is now evolving towards obtaining member Continuity of Care (CCD) data. CCD is now heralded as the “superset” of clinical data, all the medical history, test results, medications for a member in one document. Too bad then that the coordination and exchange of this clinical data from physician practice EHRs has become a significant pain point for many health plans and clinical data integration into payer systems has made minimal advancement in the past few years. The challenges that health plans need to overcome range from technical ones, a lack of real clinical interoperability despite Meaningful Use (MU) Stage 2 and HL7 C-CDA requirements & specifications, to business ones, often a lack of clear business value and use case evaluation can stymie the best of endeavors. Where and how to start? Some of the common approaches payers can take for clinical data integration include building out point to point integrations (but who has time or resources for that! ), accessing a state or local HIE (this is often limited by HIEs demands for standard data structures as well as a lack of data normalization) or partnering with one of a wide variety of vendors who claim they can facilitate non-claims based clinical data integration (many of whom fall short when attempts to validate data exchange are attempted). Regardless of the integration arrangement health plans should be advised to start small and stay focused, successful data exchange projects have a value proposition and can demonstrate cost savings or increased revenue. Examples include, risk adjustment factors that could benefit from the diagnosis list contained in a physician practice medical record or replacement of expensive chart reviews with defined data elements from an EHR. Halfpenny Technologies (HTI) has been in the clinical data exchange business for more than 15 years and over that time have built reusable interfaces that connect to 90%+ of the top EHR vendors and LIS/HIS systems. HTI’s vendor agnostic approach allows the receipt of any EHR or LIS data format and in return health plans can receive clinical data in the layout of their choice. Halfpenny Technologies’ continued investment in innovative solutions has uniquely positioned the company as a national provider of clinical data exchange solutions to the health care industry. Through truly interoperable lab and clinical data exchange, health insurance organizations (payors) can better manage individual care, support shared savings models, and deliver measurable and actionable outcomes. Access to complete lab and clinical test results can help health plans drive down the cost of care and ultimately improve population. Halfpenny Technologies offers comprehensive solutions to empower health plans with the right technology to tackle these initiatives and analytics tools for predictive modeling to address compliance and improve financial outcomes. All health plans are facing the need to integrate clinical data such as lab results that is currently in disparate data warehouses across the enterprise. Halfpenny Technologies aggregates, normalizes and consolidates laboratory and clinical test data so it can be seamlessly overlaid with quality report data, disease management data, population health data and claims data to gain holistic insights at the member level. Real-time data exchange between health plans and providers is paramount to enable collaborative delivery model operation and measurement. With Halfpenny Technologies solutions, health plans can analyze outcomes and address compliance through automated reporting for patient centric care analysis & recommendations based on nationally accepted recognized clinical guidelines. Halfpenny Technologies solutions help Health plans face the challenges in measuring the return on investment of programs that provide “difficult-to-quantify” savings, such as wellness, case, care and disease management. The clinical decision support, population health and revenue enhancement reports enable health plans to work more closely with providers to coordinate care, develop performance metrics, and implement long-term data tracking systems and processes. Often, when I make a presentation to healthcare executives and lab people, I’m struck by the level of unfamiliarity regarding the Logical Observation Identifier Names and Codes (LOINC®). It is not that all are unfamiliar with it; lab directors and some managers and medical technologists are familiar but, overall, most are not. This is a telling fact about the state of our preparedness for data sharing, coordinated care, and advanced analytics. As a further example, a group of senators recently sent a letter to the Centers for Medicare and Medicaid Services (CMS) requesting a re-evaluation and “reboot” of the Meaningful Use (MU) program citing, among other things, concerns regarding the program’s ability to achieve meaningful interoperability. LOINC® is part of the solution. LOINC® as a coding standard. While both are mentioned in MU regulations and the accompanying Office of National Coordinator (ONC) standards documents, they are not widely recognized as critical for interoperability progress – but they are! The Logical Observation Identifier Names and Codes (LOINC®) system was created in 1994 at the Regenstrief Institute, associated with Indiana University. Initially focused on laboratory observations (all laboratory categories and Veterinary Medicine), it has also expanded to include other clinical observations made on patients. LOINC® has been endorsed by the American Clinical Laboratory Association (ACLA) and the College of American Pathologists (CAP). It has been adopted for test reporting by large commercial labs such as Quest, LabCorp, Mayo Medical Laboratories, and MDS Labs; large HMOs including Kaiser Permanente and Aetna; governmental organizations including the CDC, DOD, VA, and NLM. Internationally, LOINC® has been adopted as a national standard in many countries, including the United States, and has been translated into many languages. 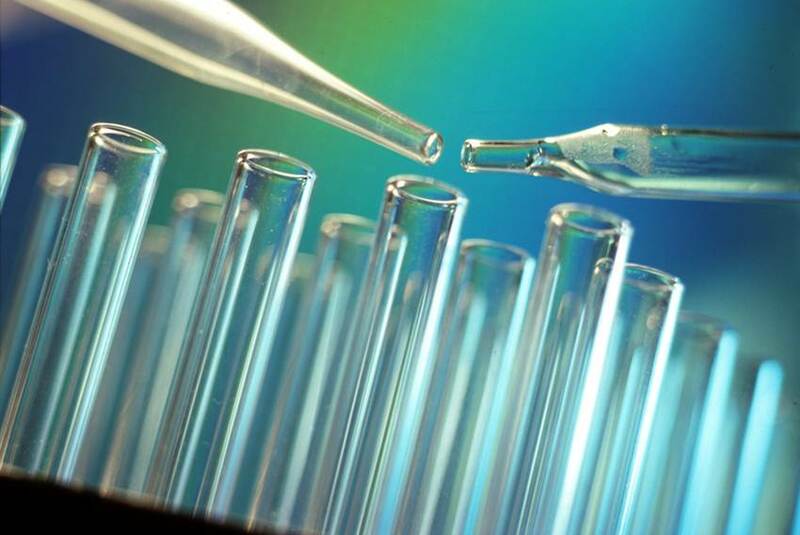 LOINC® was created to solve the problem of laboratory data interoperability by promoting standardized content. To date, most labs use proprietary order and results codes. In the past, when results were manually transported or faxed, standardization was not an issue. However, in our emerging electronic healthcare setting without content standardization there is no interoperability. LOINC® mapping can help. LOINC® is large and complex – Test dictionary builds and LOINC® mapping are specialty skills that require lab and LIS expertise as well as LOINC® expertise. The prudent approach by hospital and independent labs is to be proactive and prepare while there is still time. That is why my colleague, Halfpenny Technologies Clinical Data Specialist Jane A. Burke BSMT (ASCP) and I have co-written a white paper positioning LOINC® with respect to care coordination, meaningful interoperability, the exchange of actionable data, and supporting shared savings models. 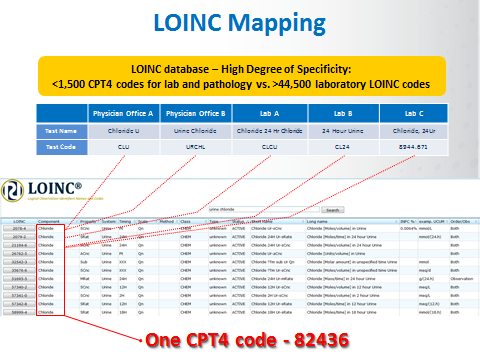 We hope that this white paper entitled, Supporting Shared Savings Models, Care Coordination and the Actionable Exchange of Lab Data with LOINC®, provides the foundation for LOINC® knowledge and offers you the important questions you need to ask regarding LOINC® mapping and test dictionary creation for your organization. For those that conclude that they do not have the skill set and/or the infrastructure to support LOINC®, alternatives do exist and should be examined. Most LIS vendors do not offer such services to support their software systems and most labs are left to fend for themselves. However, some third-party vendors offer services for the initial dictionary build, LOINC® mapping, ongoing maintenance, as well as, middleware solutions that can bridge the gap in current capabilities of existing LISs. Being able to positively answer the above questions or, at least, have a roadmap to achieve them within the first year of the start of MU stage 2 (2014), will prepare the lab for the realities of providing clinical services to physicians in the era of accountable care. For more information, on LOINC® Mapping and Test Dictionary builds, please contact Halfpenny Technologies at 855-277-9100 or visit us online at http://www.halfpenny.com. *LOINC is a registered United States trademark of Regenstrief Institute, Inc.